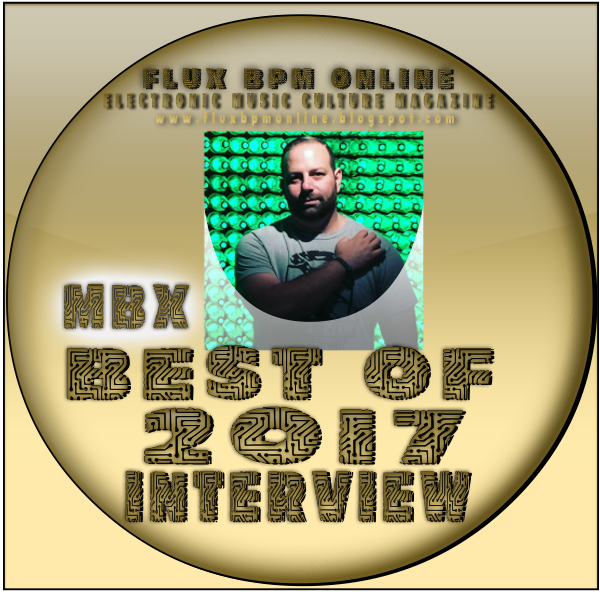 MBX: Definitely the release of my song "Afterburn" which was featured on several popular radio shows, and sparked many great relationship which I know will help push my sound and career even further. DBX: Finishing the build out of my dedicated studio with the help of my buddy and collab partner Ambyt was massive. It's definitely has been a year of building and growing in all aspects of my life. I suppose this is boder-line to call 2017, but still on repeat for me. 3. MBX - Expanse (OHM Music)....you'll have to wait for this one, but I cannot wait for you to hear it! Oh man, how do I even narrow this one down, there are so many amazing artists out there, but at least right now the best in my opinion is Oliver Smith; his sound really resonates with me, and he's a great performer when on stage. Yeah, this is another hard one for sure; there are so many, so let me pick two at the very least here. If you haven't heard Alexey Polozok & Hiromori Aso - Tokyo Dreams (Maglev After Dark Remix) (OHM Music), then you need it, it's so good. Nothing on the official remix list yet for MBX that I can share right now unfortunately. Spencer Brown is hands down the best remixer right now. He has so many under his belt and they are all incredibly good! Profetik, EMATA, Maglev, Ambyt, Theology, and Jackson Snapp are all amazing talents that should be watched closely here in 2018; big things happening for all of them! My passion for electronic dance music all started with Orbital 2 (FFRR); I still go back to it and listen for inspiration (gotta love Halcyon On & On), then later in the scene I was addicted to Gatecrasher compilations. Today it is Above&Beyond's artist album "We are all you Need" (Anjunabeats) and Vintage & Morelli's My Rose Enchanted Destiny (Silk). Gatecrasher's "Wet" from the past and Anjunabeats and Anjunadeep's yearly compilations are always a go to for me as well. OHM Music has some really creative artwork, and I like the Anjunadeep recent artwork they been using. I feel like this is an area a lot of electronic music falls short; where the lyrics are almost an afterthought but I still think "Counting Down the Days" by Above & Beyond hits the mark. Alissa Feudo and Kerry Leva are two vocalist I hope to hear a lot more from! I suppose this, from my perspective, is who has been the most engaged with me personally and also putting out great music. By far OHM Music has been the most involved and proactive with me, a close second would be Freegrant Music and finally I can't leave out Skyfall Recordings. Each of these labels has been immense, and should be watched closely in 2018! Where is the old MTV when you need them haha. I can't really say to be honest, I haven't been watching many music videos lately. I feel like i should be tweeting more for sure and focusing a bit more on the social aspect of things. But yeah, instagram, facebook and twitter right now with snapchat being right there as well. To each their own I say; they all work well. I love Ableton, but have used FL Studio and Logic in the past. ABGT shows are amazing! Was in Amsterdam and The Gorge recently for 200 and 250. Focusing on producing right now, and will start taking gigs again in the coming year. Oliver Smith's and Jason Ross'/Seven Lions sets at ABGT 250 were amazing. 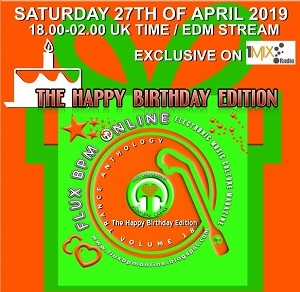 ABGT, Ride Radio, Afterhours FM with Bryn Liedl, Steven De Sar and so many others. Technics 1210s, Pioneer CDJs, Serato and the combination thereof. 25) Best new sound or sample that has been used in Electronic Music this year perhaps introduced first by you? Haha this is interesting cause I think we all are influenced by something else we have heards. I do have a creation that will really become an MBX "sound" if you will in my breakdowns. Let me know if you can recognize it! I was told by more than one person this year to just keep going and don't give up on your passion. This has resonated with me and has kept me motivated and in the studio where all of this work must happen. It's easy to get frustrated and feel unproductive, so you just need to open your DAW and start writing and creating. Music production, which is really more than a hobby now. Also getting back into cooking a lot more. 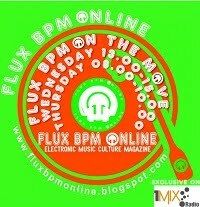 MixMag, Flux BPM and EDM Sauce are three I follow. Mira featured in the Banff Mtn Film Festival. The music and overall feel of the film is unbelievably inspiring. 32) Best online/PC/video game of the year that you have played this year? Wish I still had time to play! It was probably something from wunderground, those guys are hilarious. MBX: Please keep you eye on OHM Music, and my upcoming releases on their label!